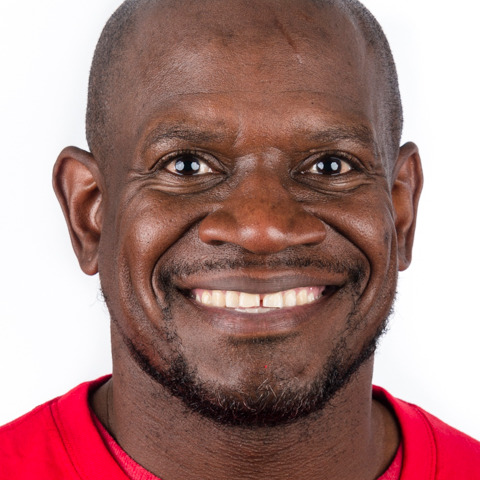 Chaka Sutton has worked for Special Olympics Colorado for 23 years and has served in many roles including Coaches Education, Outreach, Area Management, Unified Sports, Programs, and currently, is the Senior Vice President of Unified Champion Schools. Under his leadership, Special Olympics Colorado's Unified Sports Program is now in more than 300 Colorado schools. He has also served as Head of Delegation for three USA Games teams, spearheaded the Colorado Rapids Unified team and introduced flag football to Colorado. Chaka is also the direct liaison to Special Olympics International, Special Olympics North America and Special Olympics USA for sports. He has coached three World Games teams for Special Olympics USA (snowshoeing in 2005 and powerlifting in 2007 and 2011) and served as Special Olympics USA Director in 2015. Prior to joining Special Olympics Colorado, Chaka was a preschool teacher at the Denver Child Opportunity Program's Lowry Campus and was an assistant football coach at East Tennessee State. Chaka earned his Bachelor of Science in Sociology and Psychology, with a minor in Sport Management in 1995 from East Tennessee State, where he played football.